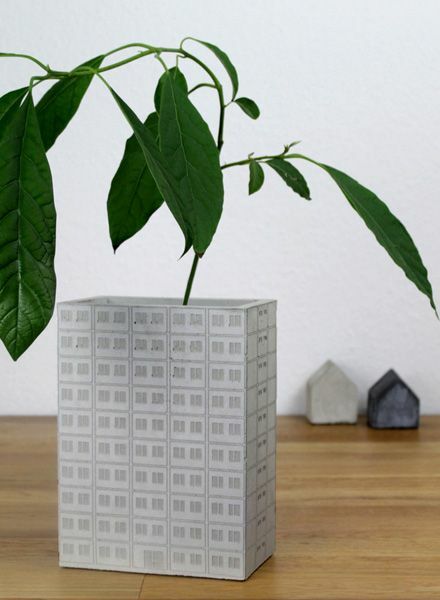 A vase with urban roots, which is a facade resemblance from a standard GDR prefabricated building. 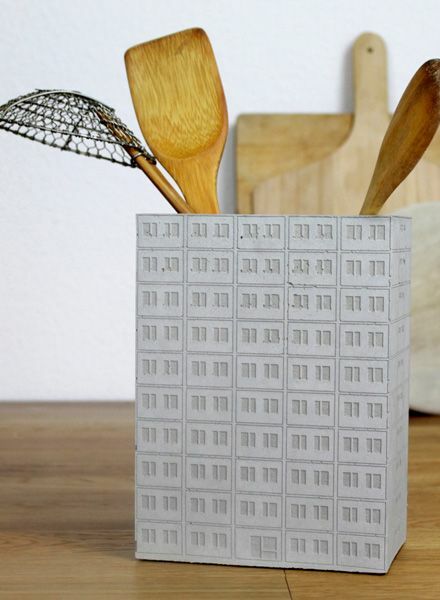 WBS-70 stands for the "Wohnungsbauserie der 70er Jahre". 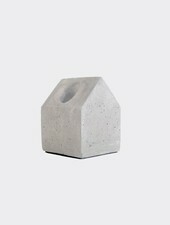 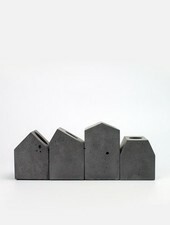 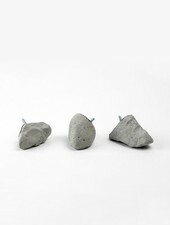 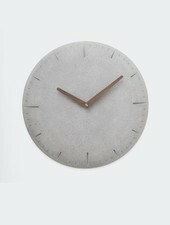 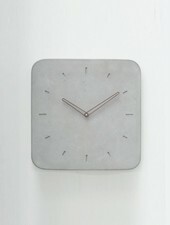 The minimalistic shape with the concrete material is an eyecatcher to every home, being used as a vase or container. 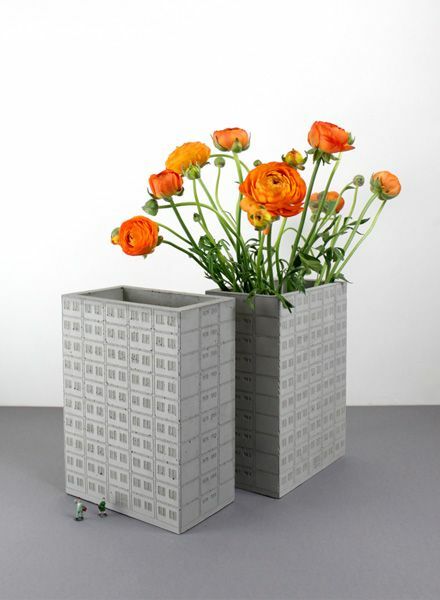 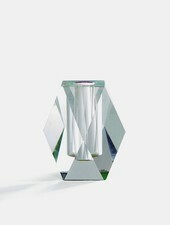 In contrast to the old prefabricated WBS every vase is unique and handmade and varies in colour, size and structure. 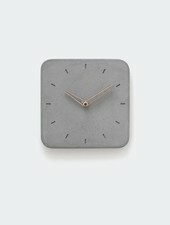 The concrete on the outside is untreated, but on the inside sealed and waterproof. 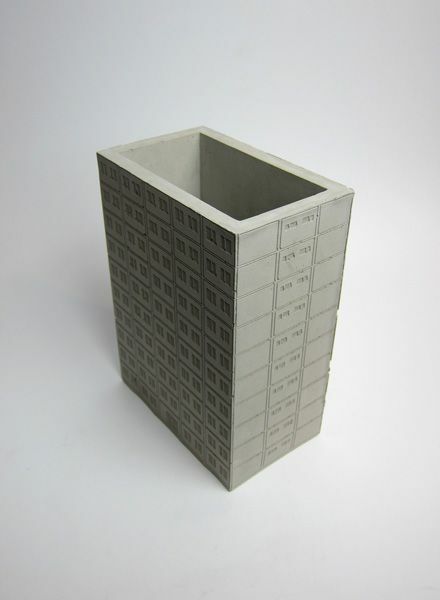 The WBS-70 is supplied with a layer of foam rubber on the ground.